For forty years Charles Alavoine sleepwalks through his life. Obedient to his domineering mother's wishes, he trains as a doctor, takes a plain unassuming wife, opens a medical practice in a quiet country town, and settles into an existence of impeccable bourgeois conformity. After his first wife dies in labour, he remarries; children arrive; he becomes a family man and a cornerstone of the community. And yet at unguarded moments Charles is haunted by a sense of emptiness and futility, by the suspicion that real life is elsewhere. Looking for answers in his past, he spends more and more time recalling his depressive, suicidal father, and a youthful rendezvous with a prostitute who for a few hours gave him "the sensation of infinity." Then, one night at a provincial railway station, laden with Christmas presents for his wife and children, he encounters Martine, an enigmatic young woman helplessly adrift in the world. Their ensuing liaison precipitates a spiritual awakening in Alavoine-and sets the stage for his tragic disintegration. 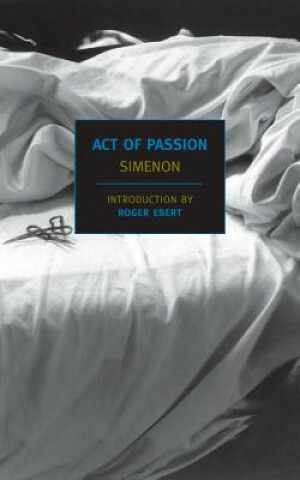 Like Camus's The Fall, Georges Simenon's thriller is at once a devastating personal confession and an indictment of modern society's empty and deadening moral codes.